The power ministry has now added a new condition for the financial support. The condition says, to get financial support from the central government agencies the Discoms will have to submit plan to reduce power theft and AT&C losses. Those who fail to submit the plan will not get any financial support from the Centre. The same will happen with the Discoms whose plans are not liked by the central agencies. To achieve its aim of providing round-the-clock power to every household, the Power Ministry has directed all discoms to come up with a plan that puts power theft to an end across the country. 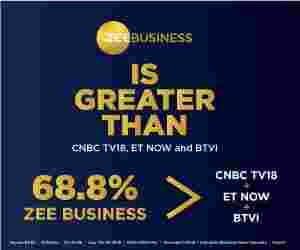 Sources close to the development informed Zee Business's Prakash Priyadarshi that the Discoms have been asked to create a new plan to stop power theft and implement the same in the next 7 months so that the aggregate technical and commercial (AT&C) losses can be brought down from 15 per cent before January 2019. In addition, the power ministry has now added a new condition for the financial support. The condition says, to get financial support from the central government agencies the Discoms will have to submit plan to reduce power theft and AT&C losses. Those who fail to submit the plan will not get any financial support from the Centre. The same will happen with the Discoms whose plans are not liked by the central agencies. Besides, the government is also working on a new strategy to provide electricity for 24 hours. For this purpose, the strategy will be implemented area wise instead of across the country at once. Under the plan, areas, where the AT&C losses are reduced, will be provided with the facility of power for 24 hours. This means areas where the incidents of power theft are reduced and people start paying electricity bills with honesty will be able to get the facility at the earliest. In fact, the government has kept a target to achieve the same by April 2019.